California is an at will employment state, meaning employers and employees can end employment at a moment’s notice. When it comes time for an employee to resign, it is usually a simple process in which the employee gives their notice with an end date. But, what if you receive just a verbal resignation from an employee you clearly will not miss? 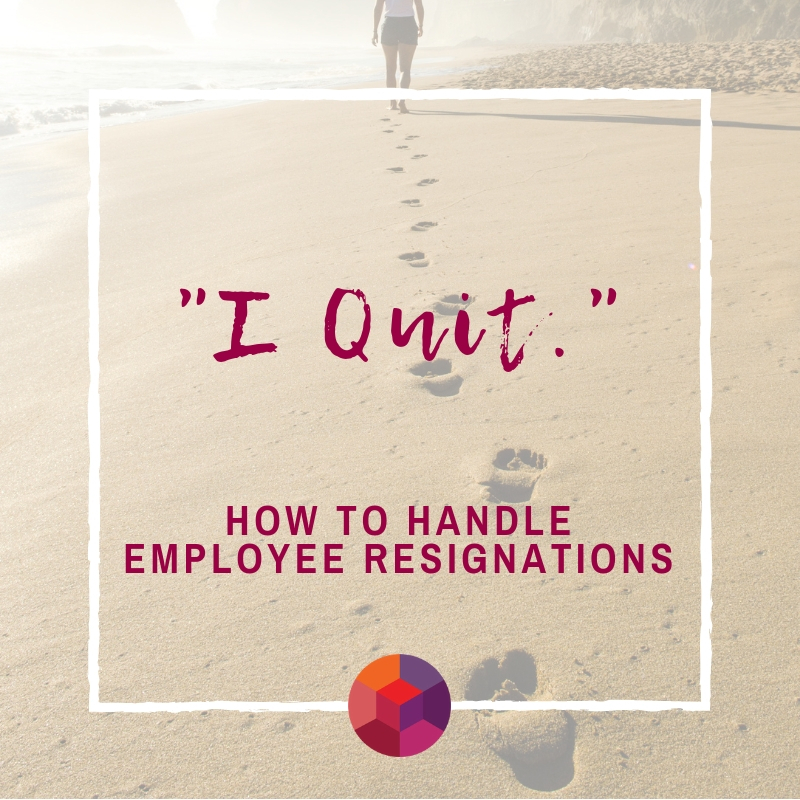 Receiving this resignation can leave you jumping for joy, however, you’ll want to withhold from celebrating until you have received written confirmation with an agreed upon end date! Once a team member gives notice, it’s time to partner with HR so you can systematically navigate the resignation process to avoid any road bumps along the way. Confirm An End Date, ASAP! When an employee gives you notice, alert HR immediately and confirm a specific end date. The typical resignation includes a two week period to give both parties enough time to transfer projects and disperse the work load to remaining team members. You should never allow an employee to resign without giving you written notice with a firm resignation date. If an employee graciously gives you more than two weeks, we recommend adhering to the typical two week time period to avoid any possible conflicts that may arise. When an under-performing or problematic employee gives notice, take immediate action to document it and start the process to refill the position. Being able to demonstrate that you acted in good faith by posting the job, redistributing the workload, and beginning the interview process will protect you from this employee rescinding their notice. You’ll have a much greater chance of warding off a wrongful termination claim if you can demonstrate that you took action to adhere to the notice during the two week period. Having the employee at hand resign may be what is best for them and for your organization, you are within your rights to ask them to leave the same day their resignation notice is received. If this employee’s position grants them access to sensitive information you may want to enact a same day separation clause in your employee handbook. We recommend paying this employee for the two week period from their resignation notice date. This protects your company, employees and clients, and saves you from potential Unemployment Claim costs. Be sure that your offboarding process is as thorough as your onboarding process. This is especially crucial if you have a departing employee that was never quite on the same page as the rest of your staff. On the other hand, if you are losing an employee who is a vital asset to your team’s success, you still want to gather as much information as possible as to why they are resigning. Adhere to HR termination policies and schedule a one-on-one conversation with the resigning employee as soon as possible for an exit interview. This is a crucial step in your offboarding process as it can help you make any adjustments to prevent the loss of other prominent staff members. Handling resignations letters does not have to be tricky but be sure you and your HR department are prepared and ready to handle them professionally. Your Perfectionism Could Be Hurting Your Job Hunt!